A veterinary surgery in Lincolnshire is hoping their online video parody will go viral and encourage people to get their pets spayed. The ‘Let’s Get Them Spayed’ parody, based on the song Marvin Gaye by artists Charlie Puth and Meghan Trainor has been put together by the staff at Quarrington Veterinary Surgery. 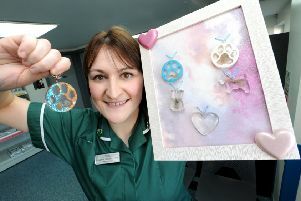 The song, with lyrics written by the practices registered veterinary nurse Sam Shand, looks to educate pet owners, that if they are not going to purposefully breed, to have their pets neutered. Practice Administrator Susan Edwards said: “Basically the stats in the video speak for themselves in that Animal Welfare Orginisations are bursting at their seams with stray cats and dogs. “Some of these strays are never re-homed and are unnecessarily euthanased, which to the Quarrington Team, is so sad. “Our job is to protect animals, treat them with respect, dignity and we all love our work. The practice was inspired to do the parody having watched an American Vet called Renee Brocket do a similar project with her team - parodying Meghan Trainor’s single All About That Bass with their song All About That Spay. Let us know what you think of the video by commenting below or on Facebook and Twitter. To view Quarrington Vet’s original video, like, share and subscribe to the practice by visiting here. To see more from Renee visit here.